In the arsenal of tools a recruiter can leverage, the recruitment blog may not always be top the list in terms of delivery mediums. Unsurprisingly, social media usually dominates this realm. However, a blog can play a unique role in reaching candidates and contributing value in a way that differs from the immediacy and brevity of social platforms. Posting long-form posts allows you to go into greater depth about what makes your company great. It also empowers your employees to share their experiences with more than 140 characters. Pairing your blog with your social platforms can effectively pull candidates into your corporate website. For example, linking to a blog post from your Twitter feed funnels the candidates closer to your career site. Blog posts are terrific for sharing multimedia, from videos to images and presentations. If you enable commenting, you can create a conversation around a topic and bring prospective candidates into the dialogue. Blog posts can be easily searchable, enabling a candidate to sift through past content to find what appeals to them personally. This is not easily done on social platforms. As a recruiter, you’re on the leading edge of industry news and there’s a way to put this knowledge to good use. Start sharing news that’s relevant to candidates’ professional aspirations. By posting about a topic they care about, you achieve two things: 1) you add value by putting news on their radar, and 2) you show them your company shares their interests. Think: guest posts from your executive leadership team, highlights from industry trade shows and conferences, trending topics in the news that are relevant to your business, or reflections on the industry from employees in niche divisions. 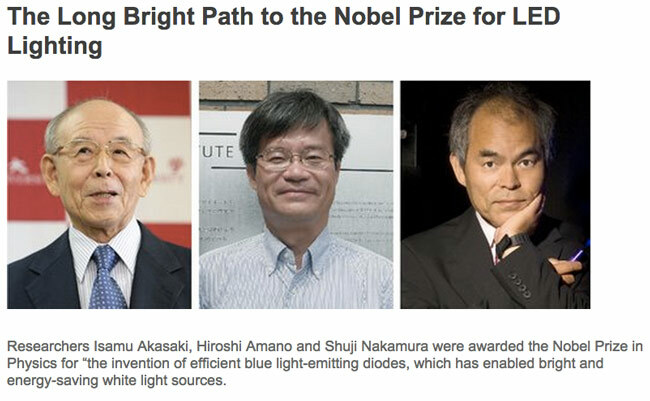 The GE career blog does thought leadership well, from news on recent Nobel prize winners [in the field of physics, for lighting – hence the GE connection], to an infographic on creating a “fail fast” culture of innovation, shared from a third party source. They also had a post about a recent New York Times article on how tech companies top the list of most valuable brands. Certainly, there’s a GE tie-in in each instance, but it’s also news a candidate can use. Sharing news about your talent brand lets you display the many elements that make your company unique. From culture to values, décor to diversity, you can bring the personality of your brand to life. And where better to start than with your people. The Roche career blog shines the spotlight on employees from offices around the world. 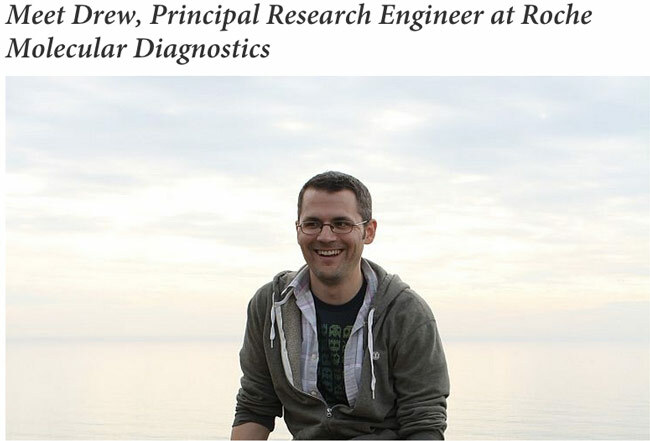 In a recent post, candidates can meet Drew, a research engineer based in a CA office. Drew is shown happy and smiling against a sunset, and in the course of the interview that follows, shares his educational background, how he came to be working at Roche, what his job entails, what the corporate culture is like, and what makes his role unique. And, Drew is not the only one – the blog showcases a different employee regularly, with a casual photo of their locale. While not a replacement for a corporate blog, a careers blog is a great way to repurpose company news to attract candidates. Ideal items to share include company newsletters, white papers, webinars, infographics, inclusions of the brand in the news, corporate photos and videos, executive presentations and live events. Remember, all should be external-facing or approved to share with the public. Australia’s telecom giant, Telstra, has an active career blog with a great mélange of information for candidates, from tips on resume layout to advice on how to dress for a job interview. Amidst all of this candidate-friendly information is subtle promotion of company news, selected for its relevance to potential candidates. 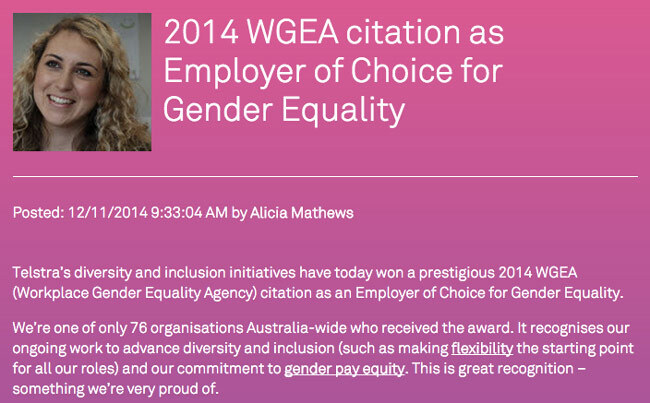 One example of the company’s diversity and inclusion initiative was the recipient of a prestigious award for “Employer of Choice for Gender Equality”. This blog post features relevant tags, such as diversity and gender equality, so that it will pop up in search results for interested candidates. It also includes links to a company initiative on flexible working arrangements, and to a government case study on gender-pay equality. Finally, it closes with a call to action – a click through to the company’s diversity microsite. These additions mean the prospective candidate walks away with a pocketful of new resources, courtesy of Telstra. 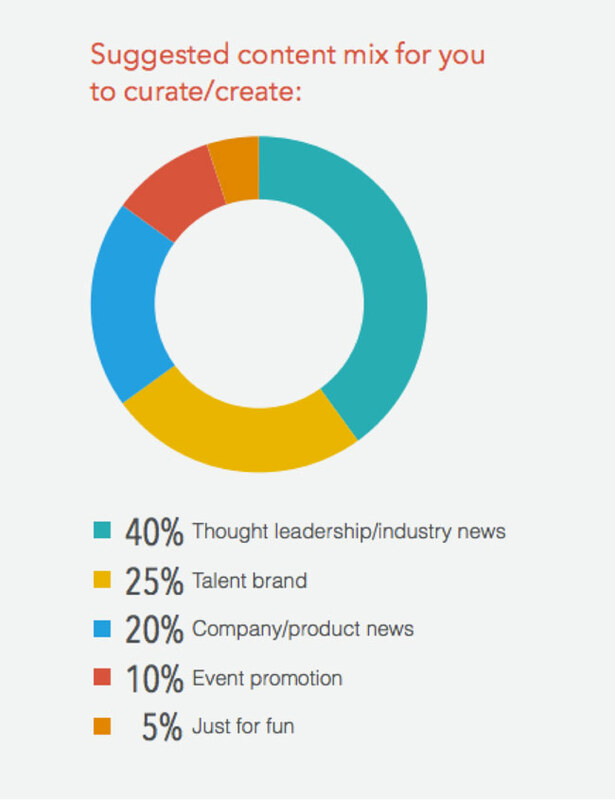 Certainly, social media lends itself to promoting recruitment events. However, when you’re fortunate enough to have a number of supporting resources that you can share for the event, it may be a bit clumsy to pile them all into a social post or tweet. The beauty of the recruitment blog post is that it can serve as a library for various resources for the event. 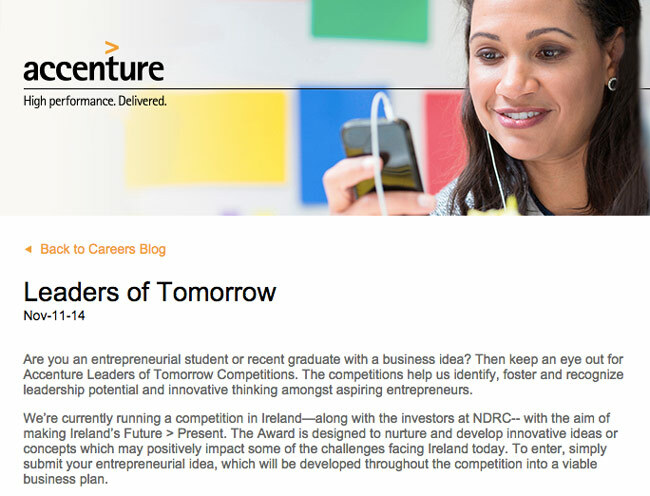 Accenture’s career blog did this well when it promoted the company’s Leaders of Tomorrow talent competition, with an Ireland-specific event. The post pulled together several existing multimedia resources, including a link to the parent LoT microsite and a video clip introducing the LoT program. The result: all of the information is anchored in one blog post. This post is also effective in that it promotes an ongoing corporate recruiting initiative, announces a local event that may appeal to the Irish candidate marketplace, provides a sharable and informative post that can easily be passed along, and opens the topic up to questions via enabled comments. All work and no play, as the saying goes, makes Jack a dull boy. So let the spirit of your brand shine: schedule in fun posts that will delight candidates. 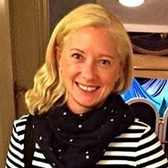 The IBMJobs career blog offers content that ticks boxes for being both fun and shareable. Even if a candidate is not actively seeking a job, the puzzles and quizzes are ones that a candidate might share along with a friend, or take to kill some time. “Ponder This” is the blog’s monthly brain challenge, and the November challenge involved generating a random Greek letter using probability. If this brain-twister seems irrelevant on a careers blog, of course it’s not – candidates are urged to match wits with “some of IBM’s best minds,” showcasing the caliber of employee at the company. And of course, this gives candidates an unorthodox way to show off their strengths. As you can see, posting about thought leadership and industry news should be your priority. And remember, there's no shame in pulling from external resources, such as news organizations, industry publications, and blogs. So, start experimenting with different topics and formats - the more you do it, the more success you'll have.